Medievalists in the English departments are considered the weirdest of the weirdos, the nerdiest of the nerds. Medievalists are a little bit crazy. They believe, often enough, that the world is in a cosmic struggle between good and evil, including over who ought to fill the copy machine with toner and paper. They can’t quite relate to the debate in the faculty meeting because no one has claimed divine right. There are twice as many job openings for Medievalists and half as many qualified applicants. Weird is not the only minimum job requirement — see below for the others — but it helps. . . . However, it is not just a costume change that is involved. 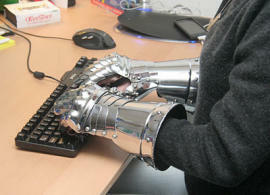 Going Medieval is serious business. It is important not only to speak English . . . and another modern language . . . but to speak what are called Middle dialects of these languages (I can read Middle English and Middle French, provided they are typeset). I also ought to learn Latin and Old English, which has a different alphabet than our English and sounds like Vikings snorting when spoken aloud. The whole post, in which carpetbagger tries to figure out whether to be a Medievalist or a Victorianist, may be found here. Yup. These are my people. 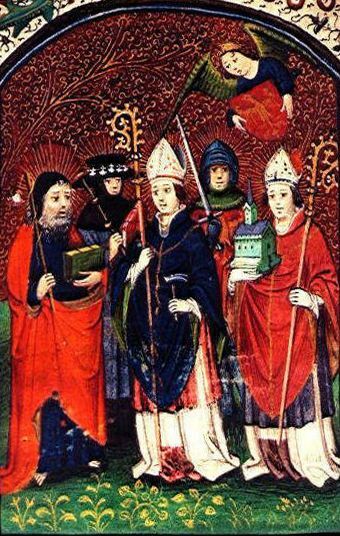 This entry was posted in Medieval Wisdom for Modern Protestants and tagged Medieval, medievalism, Middle Ages, Middle English, Middle French, Nerd, Victorianism. Bookmark the permalink.